The wife of the Peoples Democratic Party (PDP) presidential aspirant Hajiya Titi Abubakar has said that her husband is not a thief and would never steal if elected. 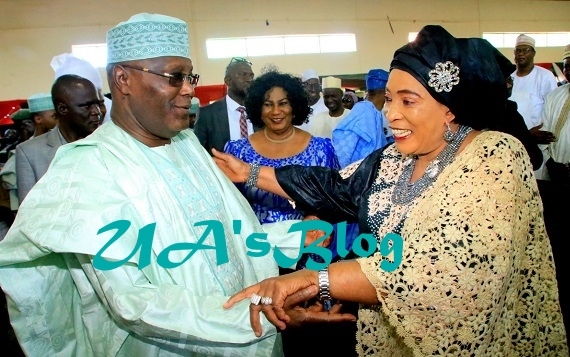 Mrs Abubakar made the remark when Atiku Women Prayer Group visited in her residence in Abuja. Meanwhile, Legit.ng had reported that Alhaji Atiku Abubakar, returned to Nigeria in the early hours of Sunday, November 11 to a thorough search by state security agents. The former vice-president returned from Dubai in a private jet around 12am, after spending over two weeks outside the country. The Adamawa-born politician confirmed via a tweet that he was thoroughly searched by agents of the state, but added that he can't be intimidated.